Sweet potatoes are among the healthiest vegetables you can eat in addition to being very affordable and relatively low in calories. They were ranked by the Mayo Clinic as one of the top 10 healthiest foods. Sweet potatoes contain a unique protein that acts as a protease inhibitor with potential anticancer effects. 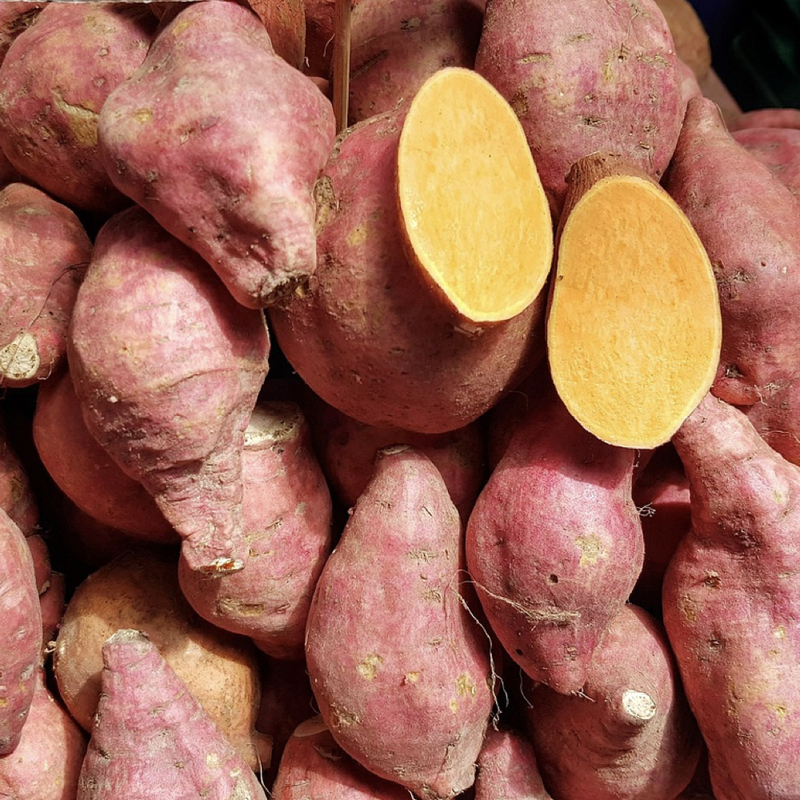 In one study, researchers found that sweet potato protein slows the growth of colon cancer cells and cancer cell migration. Residents of Okinawa, Japan, traditionally consumed a diet made up of less than 1% fish, less than 1% meat and less than 1% dairy/eggs; this high antioxidant diet consisted of more than a 96% plant-based diet, most especially purple and orange sweet potatoes. As a result, Okinawans enjoyed six to twelve times fewer heart disease deaths than Americans, two to three times fewer colon cancer deaths, seven times fewer prostate cancer deaths and a five-and-a-half times lower risk of dying from breast cancer. Sweet potatoes are high in fiber, which may help lower the risk of diabetes, heart disease, stroke, cancer and obesity. Consuming whole-plant, high-fiber foods — with all their beneficial phytonutrients — is much more advantageous than consuming just the fiber itself. Unlike many other vegetables, sweet potatoes best retain their antioxidant power when boiled; antioxidants in both the peel and the flesh are greatly reduced when baked, compared to boiling or microwaving. The peel contains almost 10 times the antioxidant power as the flesh and can be left on in many preparations. The worst way to cook them is by deep frying. If you mash them with cinnamon and cloves, you’ll have a satisfying, antioxidant-packed meal that equals the antioxidant power of what most Americans get in a week from the standard American diet.